Kill those mid-week blues: head to The Irish House for free entry into insane karaoke nights, Happy Hours till 8 pm and free shots for the performers! Wednesdays can mean only one thing from now on — testing your singing skills and bringing out the rockstar in you! 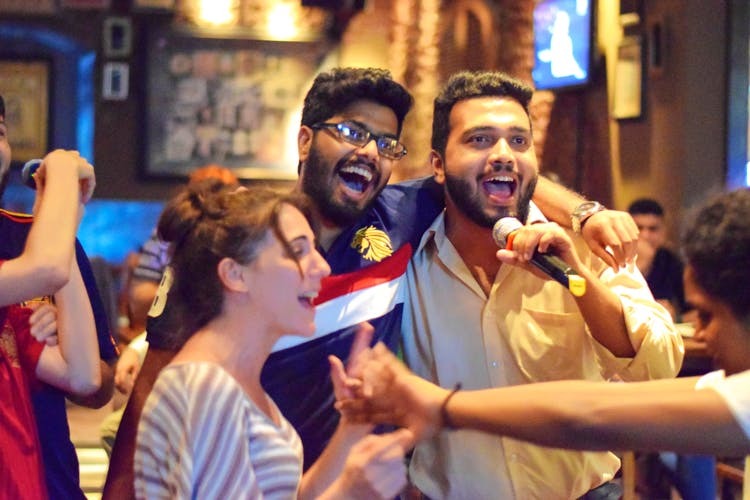 Especially now that Kolkata’s favourite watering hole, The Irish House, is introducing Thrilling Karaoke Nights. Starting November 8, every Wednesday from 8 to 10 pm, the pub will convert into your own personal performance area. Bathroom singers, amateurs or professionals, grab the mike for a night of fun! Need some Dutch courage? Every performer will get a kamikaze shot on the house. So there’s never been more reason to hit the stage. And it gets better. The pub has extended its Happy Hours till 8 pm so you’re sure to be in high spirits when you hit the stage. The Irish House is known for the beer menu and delicious, hearty and meaty pub grub. When: Every Wednesday, starting November 8. Where: 5th floor, Quest Mall.